The Babboe Toddler Seat is the ideal solution for transporting children between 8 and 18 months of age. 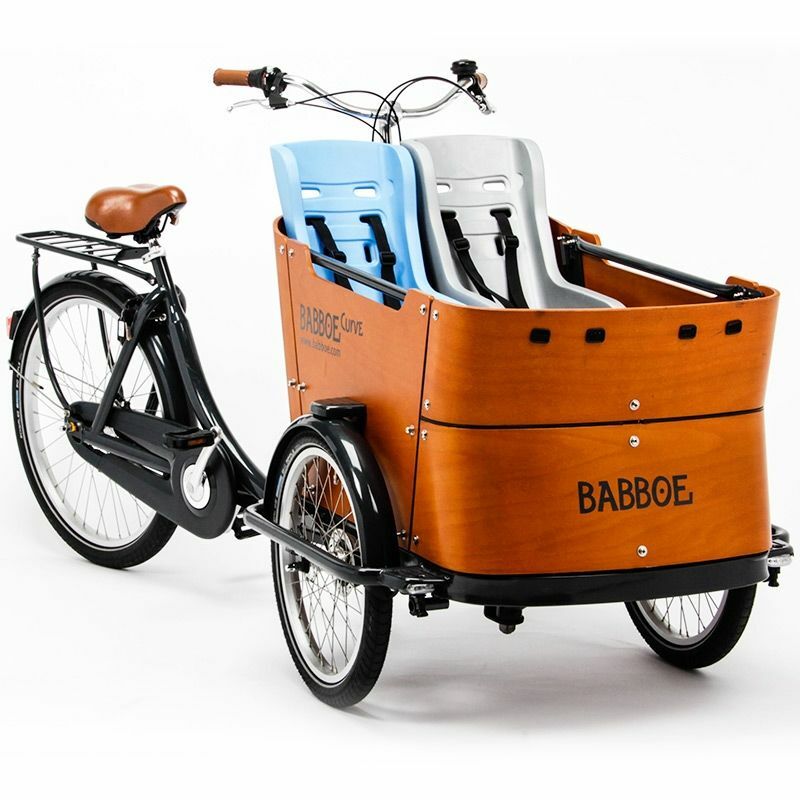 Babboe has used the insights of current cargo bike users in the development of this toddler seat. The material is shock-absorbent, waterproof and has an insulating effect. Placing the toddler seat in your cargo bike is very simple. You can use the small holes in the box for the seat belts, so there's no need to drill into the box. This way the toddler seat is a bit tilted towards the inside, but it doesn't limit its functionality. If you want the toddler seat to sit straight on the bench, a small hole will have to be drilled in the backrest of the box (between the two holes of the seat belts) to attach it. Keep in mind that if you want to use the rain tent in combination with the toddler seat, you need to unzip it a little bit on the side of the steering wheel.